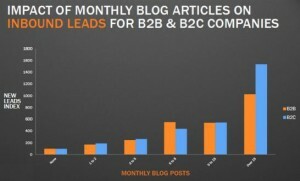 Having fresh content on your Web site or blog can help improve your search engine rankings. Search engines reward sites with fresh, relevant content that’s of value to visitors. The focus should be on the reader, not on self-promotion and selling. 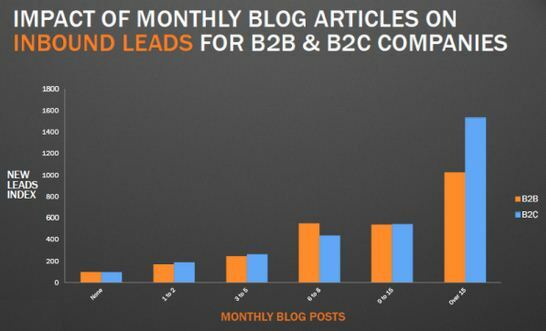 As this HubSpot graphic indicates, frequency has a major impact on lead generation – especially for B2C businesses.